Old. tiki posted a better one back about a year ago I think? 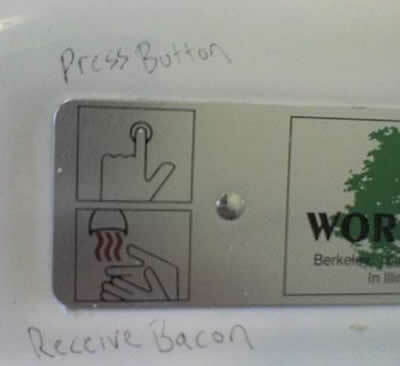 Oh and BTW you can’t fit much bacon in a handdryer, I’ve tried. You forgot the image where the guy actually recieves bacon. You fail.